Above: My parents, Ekaterina and Ioannis. 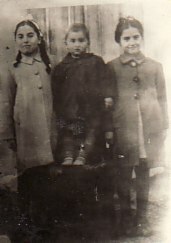 Above Middle: With my siblings, Panagiotis (middle) and Andiope (right). Above Right: With my friend, Evi Economou (right). 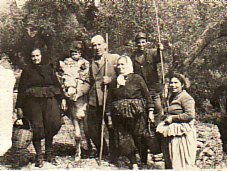 Above Right: Relatives helping my mother, Ekaterina, at our family's olive groves in the Karoulia area.. L-R: my mother, Ekaterina, Panagiotis Tragakis, Grigorios Papapandos, Efstratios Tragakis, and Maria. 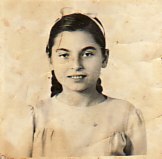 Above: In the kitchen of the Regent Cafe, Parramatta, owned at the time by my uncle, Georgios Tragakis and Panagiotis Moutzouris. 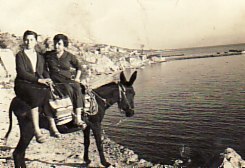 L-R: unknown, Penelope "Poppy" and Georgios Tragakis, Panagiotis Papapandos and myself. 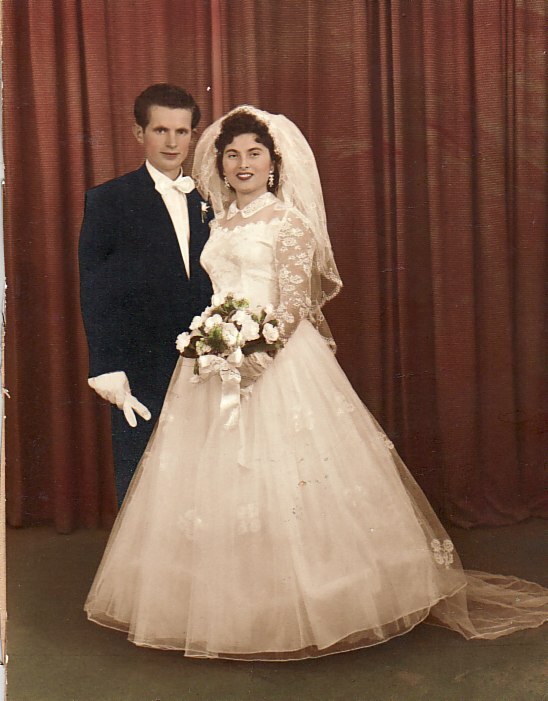 Above Right: A wedding photograph; with my husband, Theodoros. 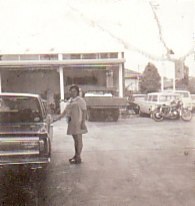 Above: Two photographs from our family business, and AMOCO Petrol Service Station, which we owned fro over twenty five years. 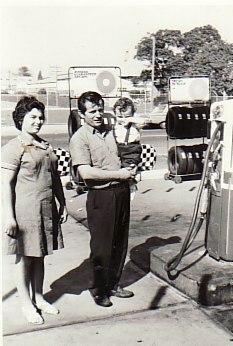 On the left, I am with my husband, Theodoros and the little boy is Dimitrios Zaloumes. 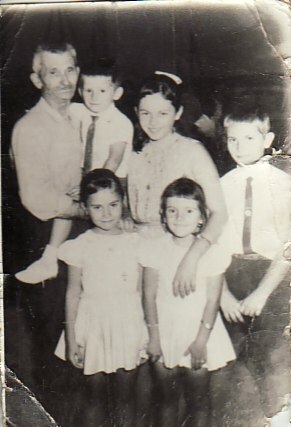 Above: My father, Ioannis, with my children, Ioannis, Stavroula, Georgios, Ekaterina and Maria. 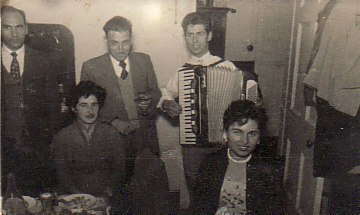 Above Right: With my family at a social dance. 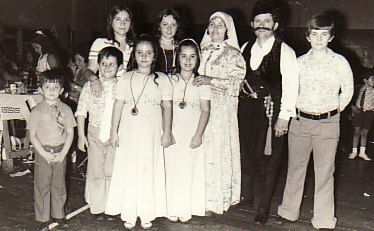 In the back row from right are; my son, Georgios; my husband, Theodoros; myself; my daughter, Stavroula; and my niece, Efrosini. In the front, from the right, are; my children, Maria, Ekaterina and Ioannis. The boy on the left is unknown.